The Indiana Pacers have reached out to the Philadelphia 76ers to inquire about second-year center Jahlil Okafor, league sources told ESPN. Sources say Indiana is surveying the trade market looking for assistance on the wing as well as in the frontcourt, but it's unclear how serious the Okafor talks are at this point. The Pacers, sources told ESPN, have alerted teams that their 2017 first-round draft pick is up for grabs. The aggressive approach is in an effort to supply help for All-Star forward Paul George. The Sixers are looking to eliminate the logjam they have at center with Okafor, Nerlens Noel and Joel Embiid on the roster. Chicago, Portland and New Orleans were all in the mix to acquire Okafor last week. The big man was almost dealt to Portland. The Trail Blazers pulled out at the last minute to take Denver's deal that brought back center Jusuf Nurkic and a first-rounder for center Mason Plumlee. Initially Denver was reluctant to part with the pick. Had the Nuggets refused to include it in the package, the Trail Blazers would have gone forth with the Sixers' deal. 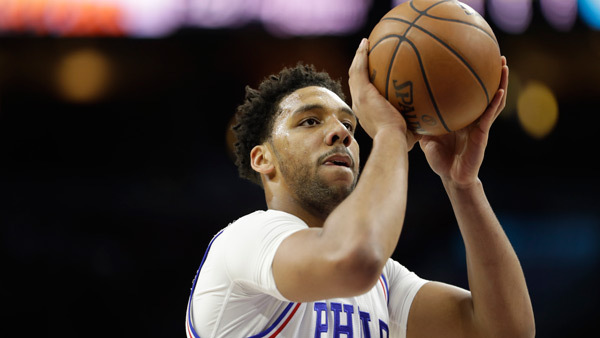 Philadelphia would like to move Okafor before Thursday's trade deadline. The 21-year-old was the No. 3 pick in the 2015 NBA draft. In 38 games this season, he is averaging 11.4 points, 4.8 rebounds and 1.1 blocks per game. ESPN's Ramona Shelburne, Jeff Goodman and Chris Haynes contributed to this report.